An examination of one of the most important yet underexplored aspects of World War II—intelligence—showing how espionage successes and failures by the United States, Britain, Russia, Germany, and Japan influenced the course of the war and its final outcome. ...the book embodies a herculean research effort down to the minutest detail. Fear not. In spite of its heft, this tome is a real page turner. Screenwriters might cull a few thrillers from the text — and populate them with real-life heroes, fools and traitors ... For all its focus on the Anglo-American brotherhood, The Secret War also covers the whole front from the French and Dutch resistance to the German Abwehr and the Soviet NKVD. 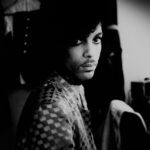 Like the rest, these chapters blend first-rate reportage, finely chiseled portraits and in-depth research. They brim with true tales of sacrifice and petty-­mindedness, miraculous breakthroughs and cynical betrayal. ...we badly needed a reliable reassessment to put the secret war in perspective, and this Max Hastings accomplishes with fine judgment in his new book ... Hastings also reminds us forcefully that however accurate the intelligence obtained, it is worthless if sufficient forces are not available to make use of it ... Nobody can accuse Max Hastings of patriotic bias. He is well known for his scathing criticism of the British Army’s inadequacies. In The Secret War Hastings gives short shrift to the myths. He brilliantly depicts the byzantine world of intelligence agencies, with dry humor and perception. Hastings has written an authoritative and engaging book that will stand as the definitive single volume analysis of 'The Secret War' for years to come ... This is a marvelous book – smart, carefully and exhaustively researched and highly informative. Even those exceptionally knowledgeable about World War II will find it extremely valuable. It is compelling and fascinating reading. 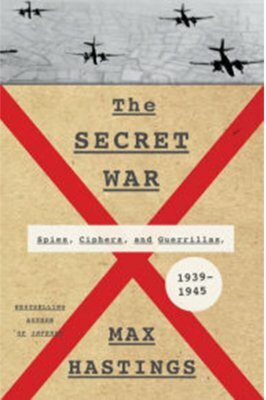 What did you think of The Secret War: Spies, Ciphers, and Guerrillas, 1939-1945?